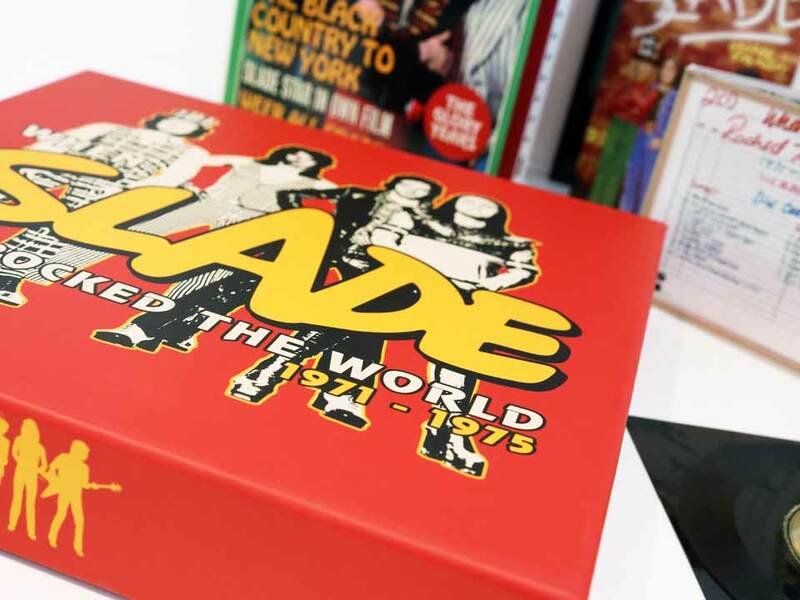 Home / Distribution / “When Slade Rocked the World 1971 – 1975” Award Winning Box Set by BMG – Interview by Key Production with Steve Bunyan from BMG. Deluxe Editions and Box sets are booming in the music market. 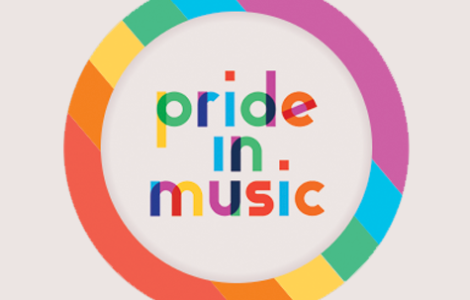 They represent a way to offer fans something that goes beyond the standard album, a real insight into their favourite artists and something more tangible than an mp3. Of course embarking on creating a box set is not to be taken lightly and can be a very involved and lengthy process, but the rewards are worth it; with many box sets retailing between £50 and £150 per set. Slade are one of Britain’s most enduring bands and “When Slade Rocked the World 1971 – 1975” celebrates their brilliant career. It recently won the award for “Special Catalogue Release” at the 2016 AIM Awards. 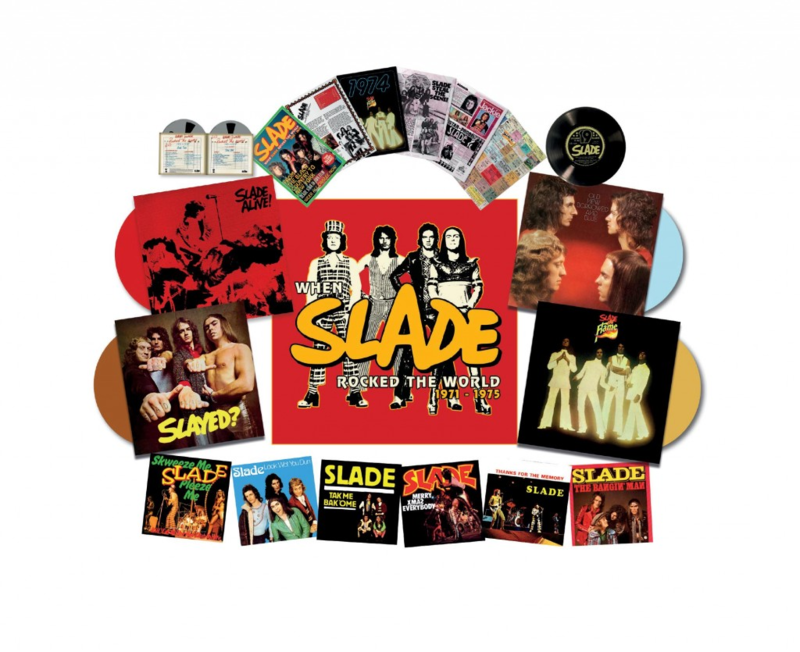 Key Production has been manufacturing for music and media for more than 25 years, specialising in deluxe editions and box sets and were lucky enough to work on “When Slade Rocked the World 1971 – 1975” with BMG. 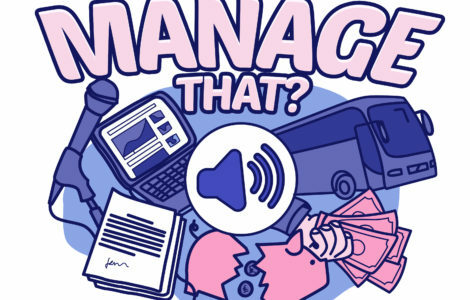 Here we interview Steve Bunyan at BMG offering you a closer look into the design and project management process that produced this fantastic box set. About a year ago, Steve Bunyan and the BMG team started developing the idea of releasing a Slade box set. They wanted to put out something that made the “band and their fans genuinely happy”. What made you choose Slade as the subject of a box set? We’d worked with Slade for a number of years and knew how big and dedicated their fan base was so a box set was always on the cards. Do you think you have to be a big fan of a band or artist when putting a box set together? No but it definitely helps. I grew up with Slade so knew the band and the music era they came from but was actually more of a Sweet fan. The more I worked with Slade the more I wondered what my teenage self had been missing out on! 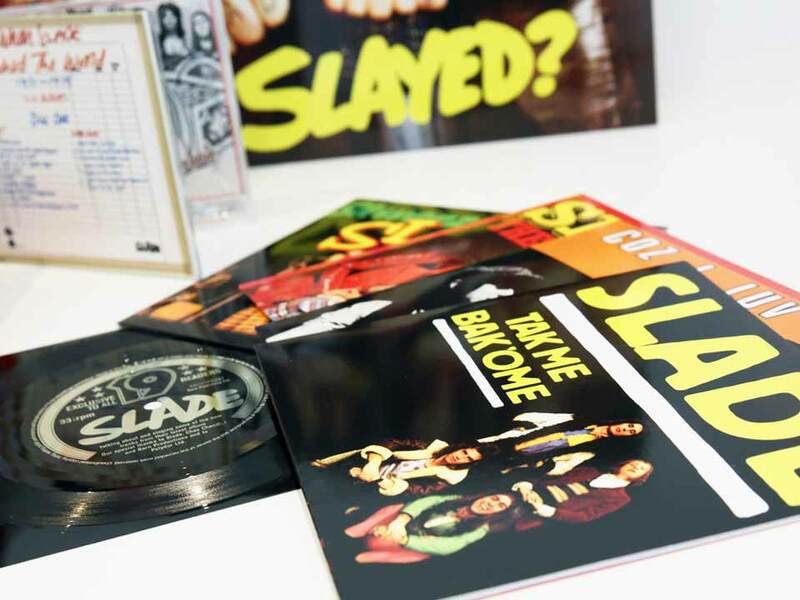 What were you hoping to achieve when you decided to do a Slade box set and do you think you achieved it? We wanted to put something together that the band, fans and media would all think was a worthy summary of Slade at the peak of their powers. I think we achieved it. Did you struggle to decide what was going to go in the box set? Did you have to leave out anything that you wanted to include? Yes in that Slade had such a long and successful career that we couldn’t include all their incredible singles and albums. We decided against including the Slade In Flame film as well as we had previously released a deluxe version of that and didn’t think we had anything new to add. After a while the idea of concentrating on the key period of 1971 and 1975 took shape. Having 4 classic albums from that period plus 8 hits that were only released as singles at the time seemed a great place to start. When designing a box set such as “When Slade Rocked the World 1971 – 1975”, what is the thing that takes the most amount of time? There is no definitive answer to this, each project has its own nuances and requirements but on reflection in this instance the creative process for the outer box was perhaps the most time consuming, pushed hard by the retouching and recreation of some of the historical content, some of which was not in the best condition. 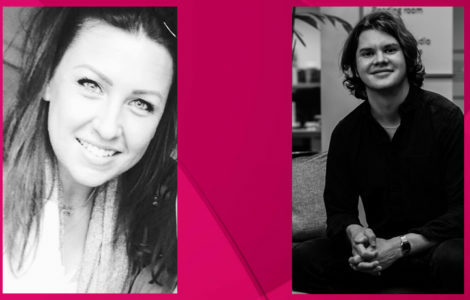 While a client’s own material is invaluable the designer performing their own research, though time consuming in itself is also critical to the creative process. We began with an initial presentation of around a dozen ideas before refining and eliminating them to the final solution. How much is original artwork and how much is new or reworked for this particular release? The bespoke pieces within the package are the outer box, Hardback Annual and the Dual Case 2CD while the artwork for the original material within the box – Vinyl Albums and Singles, George Tremlett book and Lobby cards – is carefully generated from original material of varying quality. 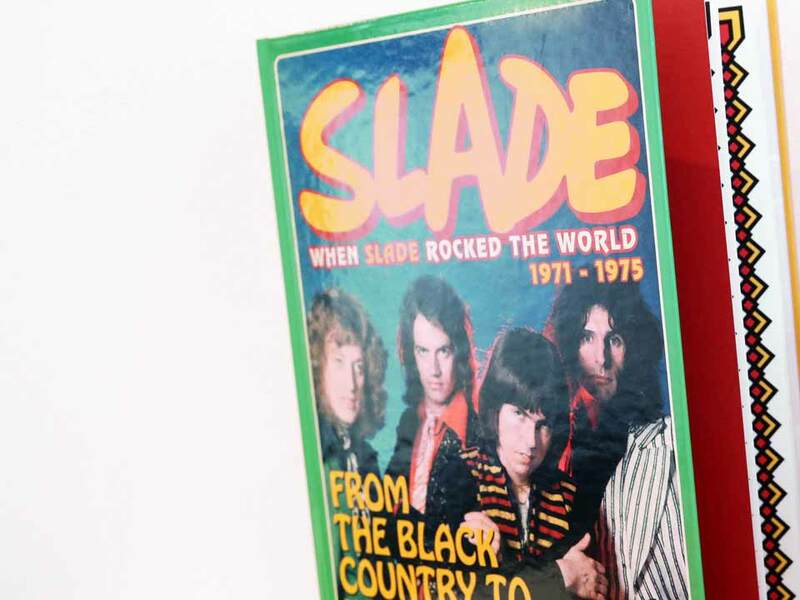 Is it easy for the designer to get carried away when designing a box set such as “When Slade Rocked the World” – do you always have to have the budget in the back of your mind? The designer’s philosophy on this is to always push the boat out initially and then have the BMG reel him back in! While it is vital to adhere to the finances of the product it is equally important to explore the possibilities for finishes and print processes that can raise the product above the competition, it may involve robbing Peter to pay Paul but if it has the desired effect it should be done. Do you think the idea of a box set appeals more to a particular gender or age group? Yes – but only in that I think you have to have quite a few years history with a band to want to invest in a box set. I can’t imagine a 13 year old music fan asking for a box set of any band but I could imagine a 20 year old for example. The aim of the Slade box set was to produce what might have been made for their fans in the 70s if box sets had existed. We know that nearly half the box set purchasers were in the 45-54 age group – i.e. people who grew up listening to Slade in their formative years. Do you have a favourite part of the box set and if so, what is it? I was really proud of the annual – we borrowed lots of original pop annuals from the period and the designer really went to town mimicking the look and feel of them. What did the band think of the box set? I remember we filmed Noddy [Holder, Slade singer/guitarist] talking about the box set and we had to wait quite a while he looked through the annual. It was really gratifying to see how much he enjoyed reading about his own band’s history. The rest of the band were kept informed of the box set via their management and were reputedly very happy with it. 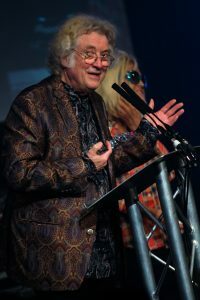 Noddy collected the Aim Award for Special Catalogue Release of the Year. Did he keep the award? And if so do you know where he put it? Yes he kept the award and too right too. It’s a very nice award so hopefully it’s got pride of place on his mantelpiece next to his mirrored top hat. Thanks to Steve Bunyan and the team at BMG.